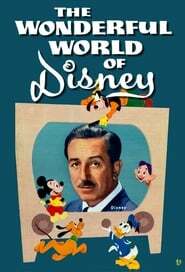 overview : Walt Disney Productions (later The Walt Disney Company) has produced an anthology television series under several different titles since 1954. The original version of the series premiered on ABC in 1954. The show was broadcast weekly on one of the Big Three television networks until 1990, a 36-year span with only a two-year hiatus in 1984-85. The series was broadcast on Sunday for 25 of those years. From 1991 until 1997, the series aired infrequently. The program resumed a regular schedule in 1997 on the ABC fall schedule, coinciding with Disney's recent purchase of the network. From 1997 until 2008, the program aired regularly on ABC. Subsequently, ABC continued the series as an occasional special presentation.